The Butte County Fair will be held August 16th to the 20th on the Butte County Fair and Rodeo Grounds. 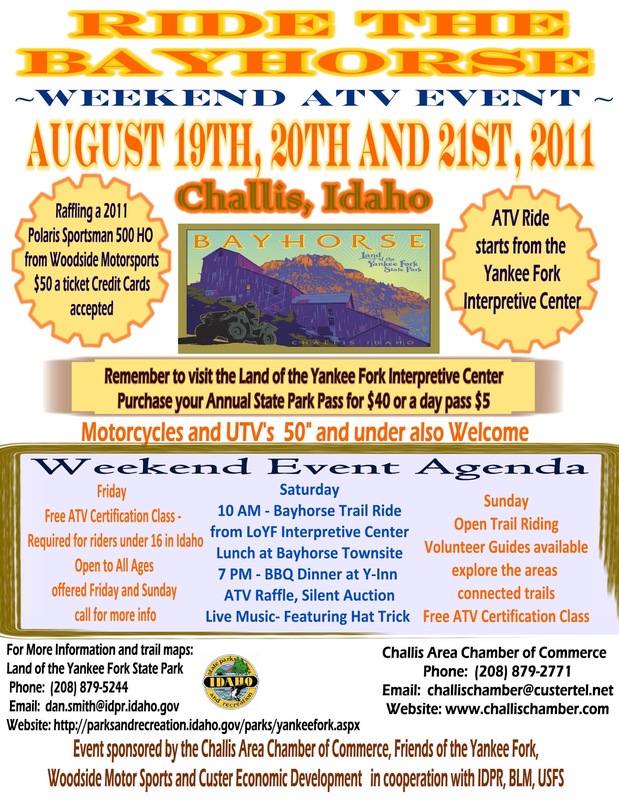 Follow the link below for a complete listing of events and additional information. 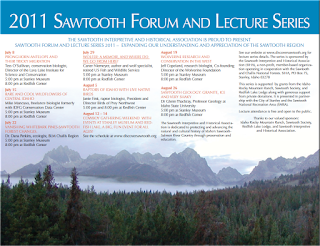 The Sawtooth Interpretive Historical Association Forum and Lecture Series in its fourth year has been and continues to be a smashing success. 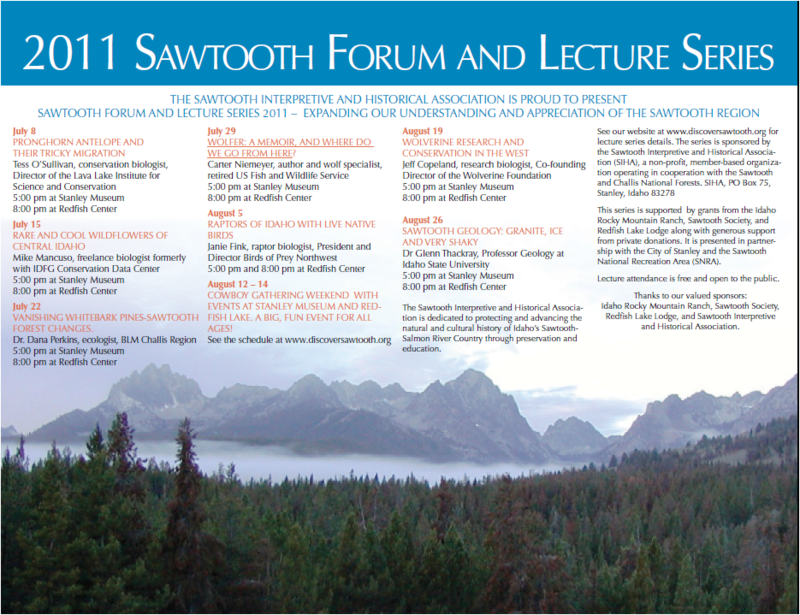 We have presentations at 5 pm and at 8 pm every Friday through the end of August. Attached is the Flyer that we sent to everybody. 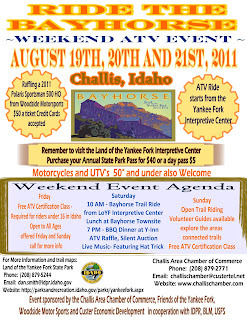 Next Friday and Saturday we are hosting a Cowboy Poetry and Western Music Gathering and on August 20th we are Co-hosting with IRU the Salmon Festival with Salmon Spawning Tours, many informational booths, Musicians, Shoshone Bannock Tribal activities and an evening Salmon Feed. The Redfish Center with its many Educational Programs has been an awesome success this summer averaging well over 100 visitors 7 days a week.